Join Captain Tom for diving you will never forget! Find prehistoric shark's teeth that are millions of years old. Teeth can measure over six inches long! Recommended gear includes a primary light (ex. UK 8000 or King Pelican), secondary light (ex. Tec-40), goodie bag (for your teeth), and a tad more weight than you would usually put in your weight belt. Usually 5 more pounds than you wear in the ocean. 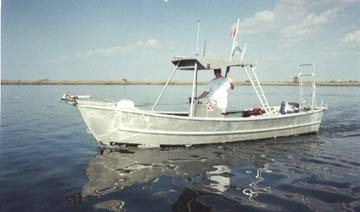 Charters are twice daily every weekend. Weekends book fast so be sure to call well in advance. "Do not Fly Caribbean Star Airlines"
Want to know why, just email me and I will tell you about our very bad experience with them. I do not live upstate, I live here in Charleston. I have more dives on the Cooper than any other operator. My buddy Jack and I discovered most of the fossil beds that you will dive on off of my boat. The spots that I carry you to, I have personally dived. I did not depend upon someone else to tell me where the fossils are, I found them myself. 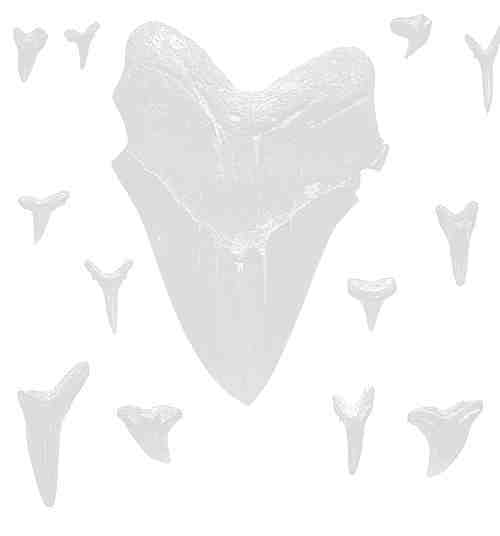 For those of you that would like to buy fossil shark teeth check out www.megalodonteeth.com The premiere site on the Web for buying fossil shark teeth (specializing in high-quality megalodon teeth) and learning more information about the enoumous megalodon.